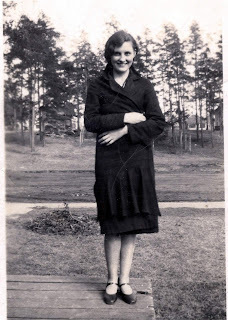 We Were Woodwards: April 6th - Happy Birthday Grandma Mary! April 6th - Happy Birthday Grandma Mary! Yesterday was her 93rd birthday and she is acutely missed. She was the matriarch of the Woodward clan. I loved her little house in West Duluth. It was cozy and she lived their for well-over 40 years. She was a teacher in Duluth Public schools for 30 years and was 'sharp as a tack' up to her death. She grew up in Beltrami County near Bemidji and graduated from Bemidji State. She will always be a hero of mine.